The post Lyft is celebrating Canada Day with free rides in Ontario appeared first on MobileSyrup. Lyft is celebrating its first Canada Day by providing Ontario residents with free rides. On July 1st, Ontarians can get a free ride, up to $20 off, by using the promo code ‘CANADADAY2018.’ For the promotion, Lyft specifically cited popular Toronto landmarks like the Harbourfront, Trinity Bellwoods park or Nathan Philips Square, although the deal is valid for pick-up and drop-off in both Toronto and Ottawa. 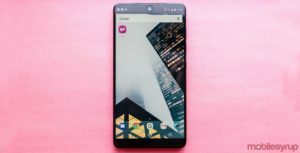 After entering the Canada Day code, users can view the coverage area of the promotion in the Lyft app to see if they’re eligible where they are. The promotion is valid on July 1st only between 12:01am and 11:59pm.